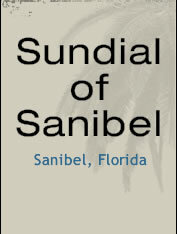 Sundial of Sanibel has basic cable, plus 6 HBO channels provided by UpStream/DirecTV. See link below for a full channel lineup. If you experience any problems with your television service during your stay please contact your rental agent. The association also offers complimentary wireless Internet service throughout the property. Since this is a barrier island we do experience intermittent service problems. If you experience any problems with our wireless Internet service, or have any trouble connecting to the Internet, please contact customer service at 844-557-8732. Your rental agent has the access and pass codes for your unit.